Just when you thought the market for quality USB audio interfaces has reached saturation point, Steinberg decides to offer two new USB audio interfaces, the UR-TR2 and UR-TR4. The unique selling point? 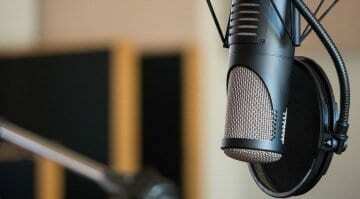 Technology by Rupert Neve Designs, one of the most prestigious of audio brands around today. 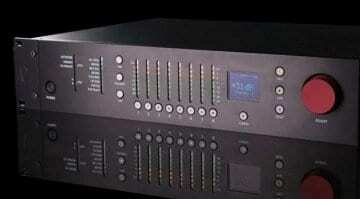 The UR-TR2 has 2 mic preamps, while the TR4 version has, unsurprisingly, 4. Yamaha made the mic preamps, RND provided the transformer circuitry (an original design developed specifically for audio interfaces), and Steinberg did the rest. 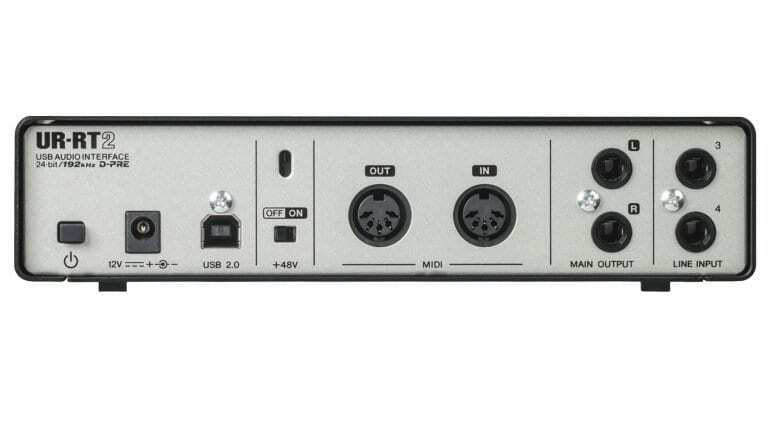 The UR-RT2 has four inputs (2x combo XLR/TRS and 2x line inputs) and two outputs (main + headphones), while the UR-RT4 has six inputs (4x combo XLR/TRS and 2x line inputs) and four outputs (main + 2x headphone outs). The interfaces connect over USB 2.0 and have MIDI, iPad compatibility (via the Camera Connection Kit or USB to Lighting adapter), and DSP-powered effects. Featuring a durable metal build, both interfaces record audio at up to 24-bit/192kHz and boast Yamaha D-PRE mic preamps with +48V phantom power. 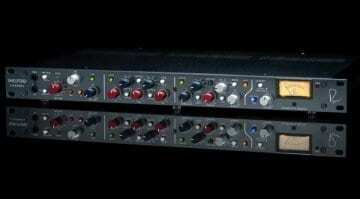 The Neve transformers are switchable and available on each front input channel. The DSP-powered effects include REV-X reverb, Channel Strip, and Guitar Amp Classics (VST3 plug-in variant is also included). In addition, the software package comprises the dspMixFx editor app for Windows, macOS, and iOS; Cubase AI for Mac and PC; and Cubasis LE for iPad. Overall, these are compelling bits of gear. There’s no word on what AD/DA converters are used in the interfaces, but the feature list is pretty extensive given the price point. Steinberg already have a considerable offering of USB interfaces, including the UR22mkII, one of the biggest sellers on sites like Thomann in the sub-EUR100 category. But at EUR 399 and EUR 649 for the UR-RT2 and UR-RT4 respectively, for two or four preamps, you’re hardly going to be picking one of these up just to make your first few attempts at recording at home. This is clearly aimed at the audiophile crowd. What’s the competition here? Well, given these prices, you’re looking at products like the Focusrite’s Clarett USB interfaces announced at NAMM. 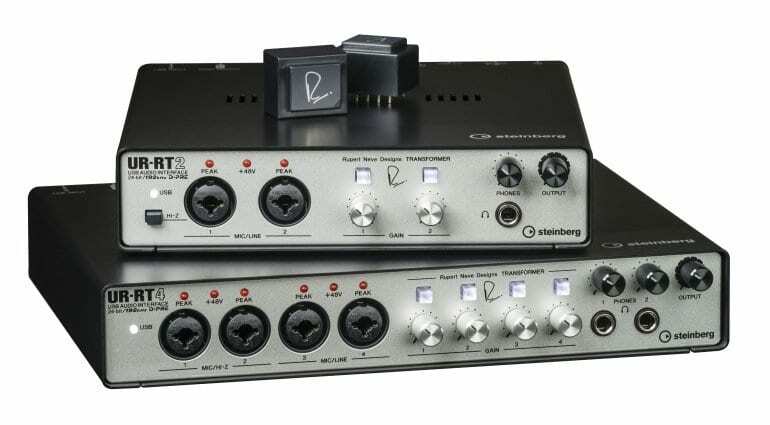 The Focusrite units do have DSP on-board, but the Steinberg offering seems more useful, with compressor/EQ and reverb on tap to dial in a nice sound for your vocalist’s headphones mix, or quickly dial in a zero-latency virtual amp for recording your guitar directly into the interface. But Focusrite have included a more generous bundle of included software, including offerings by Softube and Ableton. So there’s that. The UR-RT2 and UR-RT4 will start shipping in early June. 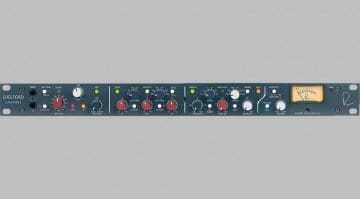 Rupert Neve Designs Shelford Channel Strip: the best of Rupert Neve?